The old Polop o mosque is a mosque Luwu kingdom, founded by King Luwu named Sultan Abdullah Matinroe in 1604 AD, mosque which has an area of 15 m2 is named old man, because of old age. While Palopo name derived from the word in the language of the Bugis and Luwu has two meanings namely: first, confectionary made from a mixture of glutinous rice and sugar water. Secondly, put pegs in holes pole buildings. Both these meanings have a relationship with the development process of this Palopo Old Mosque. This mosque was built in 1603 AD during the reign of King of Gowa-24, I manga’ragi Daeng-Manrabbiakaraeng Lakiung, Sultan Alauddin. Later in the year 1605 AD, the mosque was completely revamped to be named Masjid Katangka. Mosque structure measuring 14.1 x 14.4 meters and an additional building 4.1 x 14.4 meters. Building height is 11.9 meters and 90 meters tebel walls, raw material of brick with tile roof and floor porcelain. Location in Katangka, Gowa. Mantingan Mosque is an ancient mosque in the village Mantingan, Annual Sub-district, Jepara, Central Java. The mosque is reportedly established in the Sultanate of Demak. Founded by a high floor tiles covered with homemade China, and as well as railroad-undakannya. All imported from Macao. Building roof ridge is a style including China. Outer and inner walls decorated with blue pictorial pottery plates, was the wall next to where the priest and the preacher was decorated with reliefs illustrated wildlife square, dancers and dancers carved on the old yellow rock. Supervision of this mosque construction work was none other than Mo Han Liem Babah. Inside the mosque complex is the tomb of Sultan Hadlirin, husband of Queen Kalinyamat Kanjeng and brother-in-law of Sultan Trenggono, the last ruler of Demak. In addition there are also grave waliullah Mbah Abdul Jalil, who was mentioned as another name Sheikh Siti Jenar. Masjid Agung Banten built by Sultan Maulana H asanuddin, or the son of Sunan Gunung Jati, although it has been aged for more than 4 centuries (founded in a range of years 1552-1570), appears still standing strong and well maintained. Like other mosques, building mosques berdenah parent rectangle. In the tower there is a ladder to get to the top. The ladder on the tower around the edge of it with only a narrow enough to pass by one person. Even if you have a fat body size / large, certainly not going to get through. 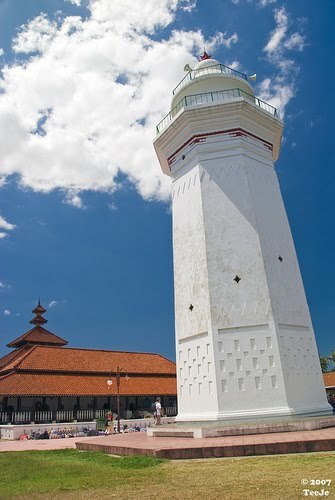 From the top of this tower, we can see the sights around the mosque includes sea with fishermen boats. The distance between this tower by the beach is not much that is approximately 1.5 km, so quite clearly to monitor activity in the sea waters banten. Masjid Menara Kud us (also known as Al Aqsa Mosque and the Mosque of Al Manar) is a mosque built by Sunan Kudus in the year 1549 AD or 956 Hijri year by using stones from the Baitul Maqdis of Palestine as the first stone and situated in thevillage Kauman, city districts, Kudus regency, Central Java. This unique form of the mosque, because it has a similar tower temple. This mosque is a combination of Islamic culture with Hindu culture. Sultan Suriansyah Mosque is a historical mosque is the oldest mosque in South Kalimantan. 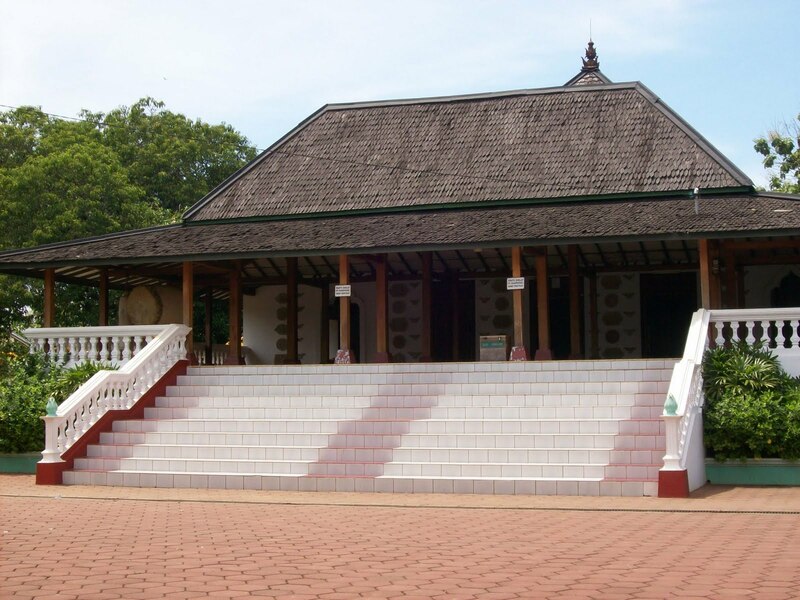 This mosque was built in the reign of Tuan Guru (1526-1550), first king of Banjar converted to Islam. 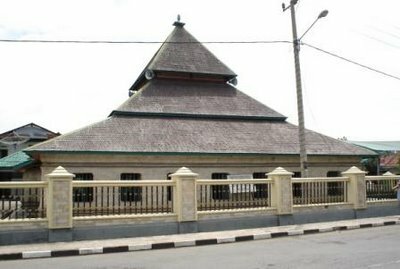 The mosque is located in Northern and Health Sub-District, North Banjarmasin, Banjarmasin, the area known as the Old Banjar is the capital of the Sultanate of Banjar site the first time. The architecture of the construction stage and roof overlap, is a traditional-style mosques Banjar. 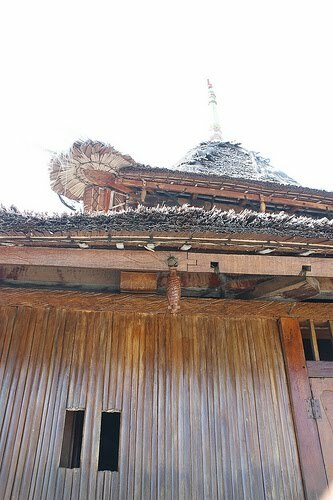 Traditional-style mosques in the Banjar mihrabnya have their own separate roof with the main building. The mosque is built on the banks of the river and Health. 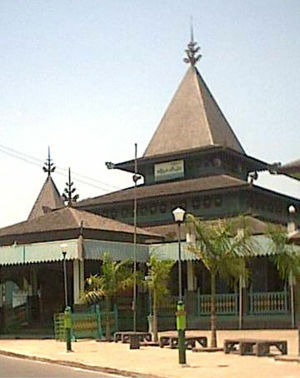 Masjid Agung Demak is a mosque, the oldest in Indonesia. The mosque is located in the village Kauman, Demak, Central Java. 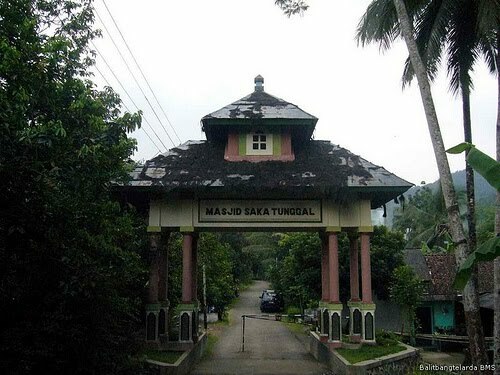 The mosque is believed to have a gathering place for the clergy (guardian) propagator of Islam, also called Walisongo, to discuss the spreading of Islam in the Land of Java in particular and Indonesia in general. 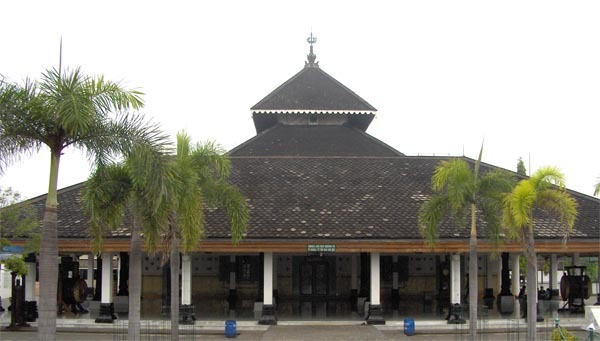 The founder of this mosque is estimated Raden Patah, the first king of the Sultanate of Demak. This mosque has a main buildings and porches. The main building has four main pillars called saka guru. The building is a building open porch. Pyramid-shaped roof is supported by eight pillars of the so-called Saka Majapahit. At the location of Masjid Agung Demak, there are several tombs of kings Sultanate of Demak and the servant. There is also a museum, which contains various things about the history of the establishment of the Great Mosque of Demak. Ampel Mosque is an anc ient mosque in the northern city of Surabaya, East Java. 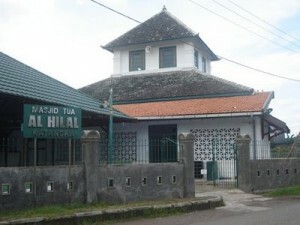 This mosque was founded by Sunan Ampel, and nearby there are complex Sunan Ampel. Currently Ampel Mosque is one of the religious tourist destination in Surabaya. The mosque is surrounded by buildings of China and Arab architecture. Besides the Ampel mosque left of the page, there is a well that is believed to be a magical well, usually used by those who meyakininnya for pledges amplifier. Thi mosque is still well maintained. Most of the original building was also preserved some heritage objects such as the drum, the Qur’an ‘s handwriting, the scales nature of the stone which weighs 2.5 kg, and an ornate metal and read arabic letters on the wall. Mosque also still functioned as a place of prayer population arround. If the drum was beaten, then his voice will be heard up to whole village, inviting people to come to the mosque in congregation. Qur’an Manuscripts handwriting in this mosque ever exhibited at the Festival Istiqlal in Jakarta. Some new additions is the place wudlu, carpets, fans and the electricity to lighting. 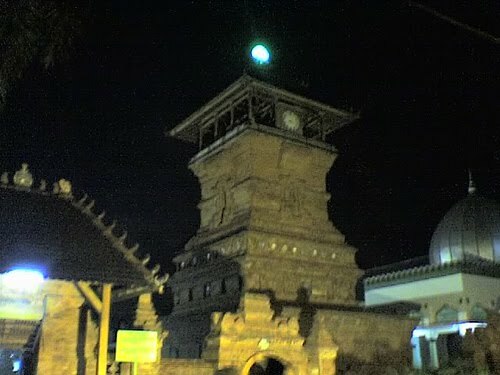 Masjid Saka Tunggal is located in the village district Cikakak Wangon built in 1288 as engraved on the Saka Guru (Main Pillars) mosque. But in making this mosque is more clearly written in the books left by the founders of this mosque is Kyai Mustolih. But these books have been lost many years ago. Each date of Rajab 27 is held in the mosque and the net change of grave JARO Mustolih Kyai. The mosque is located ± 30 km from the town of Purwokerto. Called Saka Tunggal for building poles used to shape only one pole (single). Which according to Bp. Sopani one mosque caretaker is that the single pillars symbolizing that God is only one of Allah SWT. In some places there are forests of pine and other forest inhabited by hundreds of monkeys are tame and friendly, as in Sangeh Bali. I and also my pals came checking out the best tricks located on your web blog then then developed a horrible suspicion I never thanked the web blog owner for those strategies. The ladies appeared to be very interested to see all of them and already have absolutely been taking advantage of those things. Thanks for indeed being well kind and for deciding on these kinds of incredible issues millions of individuals are really wanting to be informed on. My very own sincere apologies for not expressing gratitude to you sooner. Thanks for you comment; its support me a lot. I’ve read it all, but I couldnot reply directly through my Blog, and please tell them to accept my apology. yours came to comment file so I reply directly. Thank you for your very interesting blog post, I wish I had read it sooner. contemplate including extra mpegs to the blog posts to keep your followers more interested? What i mean is that I easily learn from this full piece of writing on here and i must it was quite respectable but since I am mainly a graphic sort of learner, I found that to be particularly helpful effectively let me be aware of the way it appears! I really like what that you guys are usually getting up to. Such clever work and coverage! Sustain the remarkable work – I’ve linked to you to my blogroll. Thanks for your comment, will do the best for you all. Bounjour. I only want to declare that what you share here is really nice information so I have post https://mannaismayaadventure.wordpress.com/2010/10/06/the-oldest-mosques-in-indonesia on my Facebook profile so everybody can have the opportunity to enjoy. its mean alot to me. Wonderful website. A lot of useful information here. I am sending it to a few friends ans additionally sharing in delicious. And certainly, thank you in your sweat! Thank you so much for your comment; make me so happy. Do you have a spam problem on this site; I also am a blogger, and I was wanting to know your situation; we have developed some nice methods and we are looking to exchange solutions with others, please shoot me an e-mail if interested. I do not have any problem with spam. My Blog protect from Spam with : AKISMET that provided by WordPress. Every day I received hundreds of spam comment, and I deleted after I read it. Thanks, will do in daily basic. Thanks a lot, your comment means a lot to me. This will be a great web site, would you be interested in doing an interview about just how you developed it? If so e-mail me! What’s Happening i’m having their first go this, I stumbled onto this I’ve thought it was absolutely useful and possesses helped me out loads. Related to to contribute & assist other users like its aided me. Great job. Thanks for your comment, make me happy my blog useful for you and others. I hope you will visit again and again. Thank you so much, your comment support me a lot and make me happy. Sorry for 7 days I was out of town, long trip 2000 KM by car to East Java Vise Versa . Tomorrow as usual will be update on daily basic. Just wish to say your article is as surprising. The clearness in your post is just great and i could assume you’re an expert on this subject. Well with your permission allow me to grab your feed to keep up to date with forthcoming post. Thanks a million and please carry on the rewarding work. Thank you so much, your comment mean special to me. I am really impressed with your writing skills as well as with the layout on your weblog. Is this a paid theme or did you modify it yourself? Anyway keep up the excellent quality writing, itís rare to see a nice blog like this one these days.. Thanks, your comment support me a lot. Thank you so much, your comment means special to me. Thanks a lot, your comment make me more sure what I did means something to the visitors. Simply desire to say your article is as amazing. The clarity in your post is just excellent and i could assume you are an expert on this subject. Well with your permission let me to grab your feed to keep updated with forthcoming post. Thanks a million and please carry on the enjoyable work. Thank you so much, your comment push me up to do the best. I like the pictures, thanks for sharing. Hello, I’m Muhammad and I find your blog on yahoo by searching for something.I find useful content on this site. Hi Muhammad nice to know you and thanks for your comment; much appreciated. beautiful mosque, they should build more!!! Thanks Friend, your comment means a lot to me. I really thankful to find this internet site on bing, just what I was searching for : D too saved to fav. You are welcome, your comment support me a lot. This site is my inhalation , rattling wonderful design and style and perfect written content . Thanks for your comment, highly appreciated. Looking forward to reading more of your articles. very interesting. Hello there, thanks for writing this helpful article. The post The oldest mosques in Indonesia Mannaismayaadventure’s Blog really provides me some good ideals..
You are welcome, your comment much appreciated. Thank you so much, your comment highly appreciated. Heya i’m for the primary time here. I came across this board and I to find It really helpful & it helped me out much. I’m hoping to offer one thing again and aid others like you helped me. I found your blog on Monday and started to follow your posts frequently. I’ve not commented on any weblog just but but I was considering I’d love to. It’s very exciting to actually contribute to an article even when it is solely a blog. I actually do not know exactly what to put in writing other than I genuinely enjoyed studying 3 of the posts. Nice posts indeed. I sure will hold visiting your weblog weekly. I discovered fairly a bit from you. Thanks a bunch! I got what you impart, thanks for putting up. Woh I am gladsome to hit this website through google. Thanks For Share Ancients Circle News » July: Tears of the Buffer.. Thank you so much for providing individuals with an extraordinarily remarkable possiblity to discover important secrets from this website. It’s usually so brilliant and packed with a lot of fun for me personally and my office colleagues to search your blog at the least three times weekly to read through the new stuff you will have. And definitely, I am also at all times satisfied concerning the fantastic techniques you give. Selected 2 areas in this article are unequivocally the simplest we have all had. I found your weblog on Monday and started to follow your posts frequently. I’ve not commented on any weblog just but however I used to be pondering I’d love to. It’s extremely thrilling to actually contribute to an article even when it’s solely a blog. I actually don’t know exactly what to write other than I genuinely enjoyed reading 3 of the posts. Nice posts indeed. I sure will maintain visiting your weblog weekly. I discovered quite a bit from you. Thanks a bunch! I adore your wordpress template, exactly where do you download it through? Hey, awesome blog. I like what you guys are up too. This kind of clever work and exposure! Keep up the great works guys! I have added you guys to my personal blogroll. Have you ever had difficulties with spammers? I also use Weblog Engine and I’ve some beneficial anti-spam practices; please mail me if you will be fascinated with an trade of ideas. You make some great points. I love sports and always have since I was young. I love wearing my teams jersey and going to the games when I can get the time. Pick one for your lover’s favorite team. Or one to match your hair. Or to complement those stiletto heels you bought to spice up your anniversary.By the way, here’s a tip: if you’re not inviting the gang in to watch the game, and there’s just gonna be the two of you, you might consider limiting your attire to the stilettos and a killer jersey. Just a thought. Keep up the good work. This is a popular news pertaining to bloggers. It opens usage of a broad spectrum of who find themselves finding a location to voice their fears. With ones theme, I would be able to gain the particular visibility We are having today. Thanks in this informative write-up, I learned a whole lot! Awesome pectus excavatum surgery health information here. Hi Wilhelmina Wiesemann i love you\’re Blog! The information is great keep it up. Great goods from you, man. Ancients Circle News » July: Tears of the Buffer. I have understand your stuff previous to and you are just too magnificent. I really like what you have acquired here, certainly like what you’re saying and the way in which you say it. You make it entertaining and you still take care of to keep it sensible. I cant wait to read much more from you. This is really a great Ancients Circle News » July: Tears of the Buffer. informations. Hey Wilhelmina Wiesemann i love your blog. This information is very useful and I will come back again to see some of your new content. Not long ago i noticed and consequently saw your web site or have scanning , i can preserve coming to this web site every day. I am delighted with the valuable information that are in your articles. So I can tell that the internet site has a very nice design. Did you make personally orbuy a prepared made template? While I know myself a little bit with webdesign, however such a page, I do not get out. Thank you so much, your comment means special to me, best regards. (I also love the theme/design), I don’t have time to browse it all at the minute but I have book-marked it and also added in your RSS feeds, so when I have time I will be back to read much more, Please do keep up the great job. Thank you very much, your ciomment support me a lot.